Here are some of the sweetest little ruffle bottom pajamas for baby girls, classic rosebud print gowns for babies, toddlers and little girls, sweet little pink nylon gowns, and some darling little red nylon gowns that are especially popular for Christmas and Valentine's Day. We have some adorable red plaid flannel nightgowns, sleepers and pajamas in babies, toddlers, and little boys' and girls' sizes. 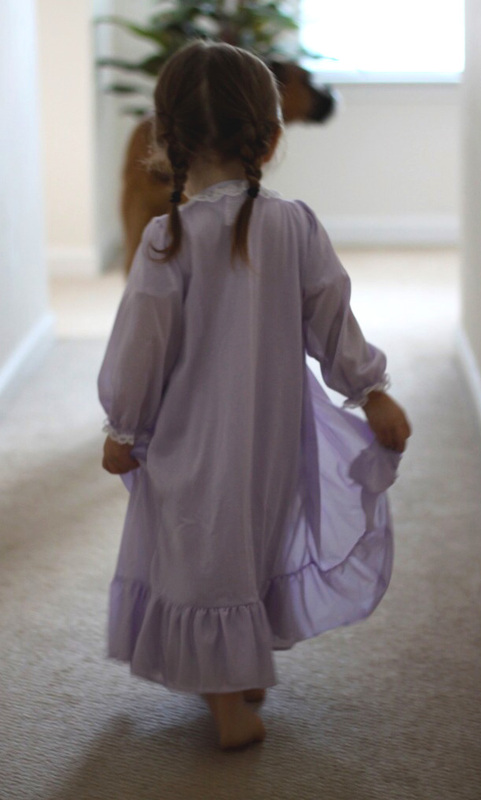 All of the sleepwear included below meets standards for flammability for children's sleepwear. You may also want to see the daygowns for infants included in our Layette Collection and the items included in our Portrait Wear.